As some of you may or may not know, I recently moved from Newcastle to Manchester as my boyfriend and I both landed new jobs and we decided it was time for a change. Although we LOVE Newcastle and I'll really miss it, I think change is good. I don't think I'll ever be one of these people who will stay in the same place my whole life - well, at least not while I'm young and able to move around anyway! Anyway, ramble aside, I've been buying lots of lovely bits and pieces to make my new flat feel more like a home over the past few weeks so I thought I'd share them in a haul. There's quite a lot so I thought I'd split this post up into two parts! I was also lucky enough to get sent some gorgeous bits from 'Gifts & Pieces', one of my favourite home ware shops run by fellow blogger Abby from Beautyfull Homes - make sure you go and check them out. Although there are parts of my life that aren't the most organised *cough messy bedroom cough*, when I want to be, I can be quite a good little organiser! I'm very much a planner and like to have things wrote down and a plan in place. With this being said, in order to keep me on track, I need a bit of a helping hand. Be it notebooks or the calendar and notes section of my Iphone, they're usually full of 'to do' lists and little reminders that give me that little bit of encouragement I need to get things done. 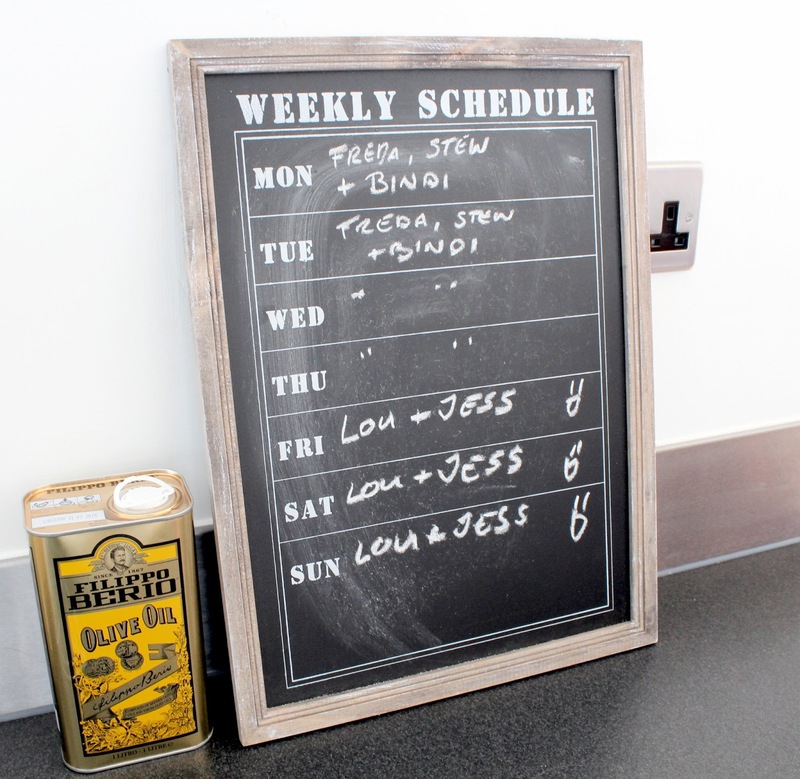 Well, the most recent organisational item to make its way into my life is this 'weekly schedule' chalkboard from ebay. I'm just a bit in love with how it looks propped up against the wall in my kitchen and I love that I can jot little notes on it to remind me what I'm doing throughout the week. The above photo isn't the best example (we had lots of visitors that week as you can see) but what I plan to use this for moving forward is weekly meal planning. I'll jot down what I'm going to have for dinner each night of the week and I'm hoping it'll help me get into a good healthy eating routine rather than dashing across the road for a pizza because we've got nothing prepared! Also, who doesn't love playing with chalk? Forever a child! These cushions are a bit of a blogger favourite so I'm sure you've seen them before but I just had to share them anyway as I absolutely love them! They're a bit pricier than other Ikea cushions at £12 each but they're totally worth it as they're huge and so squishy and soft. I love the cool monochrome print and these look perfect in our spare bedroom with a plain white bedspread and grey throw (also Ikea) along the bottom. You just can't go wrong with a bit of monochrome sometimes! I'm a big fan of the whole 'shabby chic' look so when my Nanna bought me this little bathroom set as a new home gift, I couldn't have been more chuffed. I'd actually been eyeing them up myself only a couple of days before she gave it to me which was pretty spooky coincidence - we clearly have very similar taste! I love the little worn looking stand they come in and the distressed hearts embossed on the front is a super cute touch! I've gone for a white a fresh colour scheme in my bathroom and even though white towels are a nightmare combined with makeup and fake tan. I do love the overall look! My lovely Nanna also bought me this cute set of drawers and again, they're very 'shabby chic' which is a style I absolutely love! I have this sat on my IKEA Malm chest of drawers with a few other bits and bobs and it finishes it off really nicely. At the moment I'm keeping little things that don't have a home elsewhere in the drawers like hair ties/gribs, perfume samples and lip balms! This has to be one of my favourite things in my new flat and it was very kindly sent to me from 'Gifts & Pieces', a gorgeous home ware site selling the prettiest shabby chic 'gifts and pieces' you've ever seen. They sell everything you can think of to prettify your home and I could send a small fortune on their site. 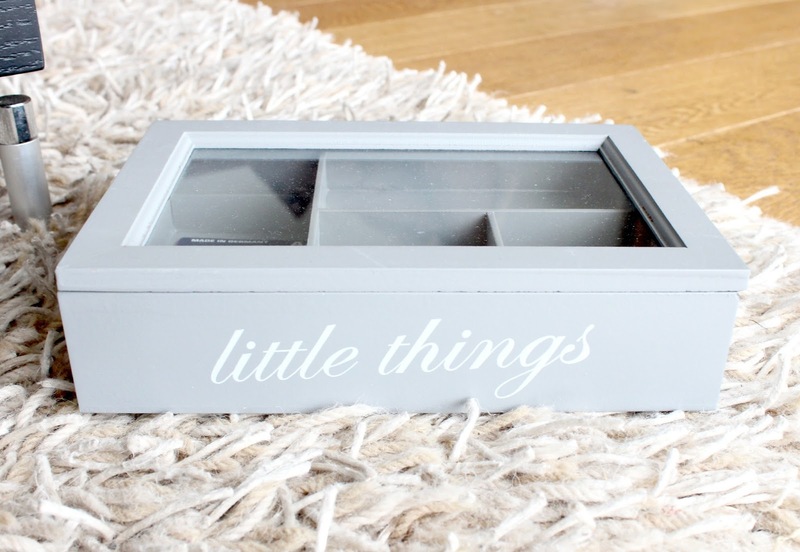 This 'Little things' storage box is super cute and its taken pride of place on my coffee table. We keep little nick nacks like spare batteries and a lighter for lighting candles in there at the moment but I'm sure it'll come in very handy for lots of 'little things' over time. However, even if we don't put anything inside it, it makes a gorgeous decoration! These were a bit of a random purchase and I'm still not entirely sure what to do with them as when they arrived they were LOADS bigger than I expected. On the website I imagined them to be small candle holders that I could put on my bedside tables but when they arrived they've pretty big and I don't think they work well as candle holders. I still think they're super cute though so I don't want them to go to waste. I'm thinking I might buy some little battery powered fairy lights to pop in them and make a light feature instead, what do you guys think?! Any ideas??! 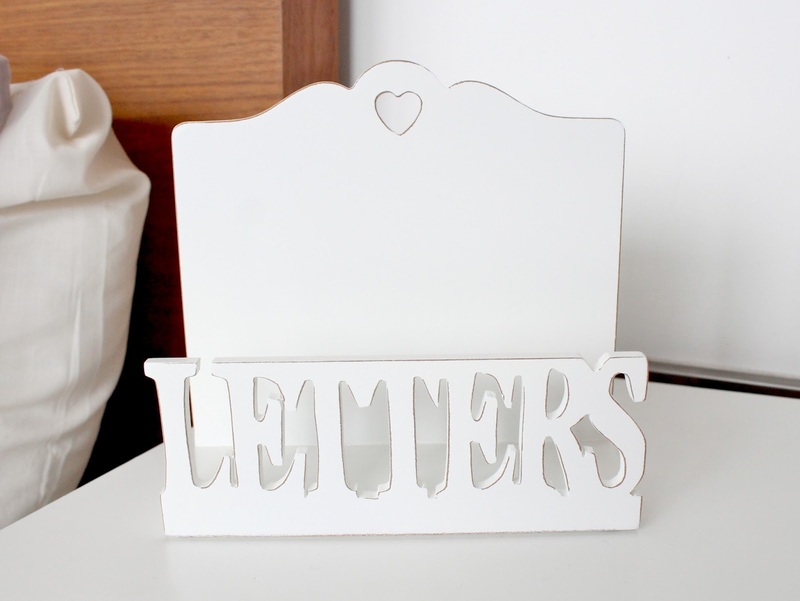 Another super cute piece from 'Gifts & Pieces' is this Letters rack which is obviously for keeping letters in. I keep this on a little table in my hallway and its really handy because if I arrive home to any post (boring bills and what not), I can pop them in this little holder to keep them neat and tidy. In the past I'd end up with a pile of letters on the side with nowhere to store them so this has come in really handy! I love it!! I hope you like these little bits and bobs I've picked up recently - keep your eyes peeled for part two next week! Where's your favourite place to shop for home ware? I love these little bits! Things like this really do make a house a home :) I love the chalk board! Cutest things! Love the 'little things' box! I have those cushions too, it's so squishy! I'm so jealous of your flat it always looks beautiful when you share pics of it on instagram! And those black and white Ikea cushions are definitely my fave piece from this post :) looking forward to part 2! i love your chalk board and little letters holder! I love home hauls! The weekly planner and letter holder are so practical! 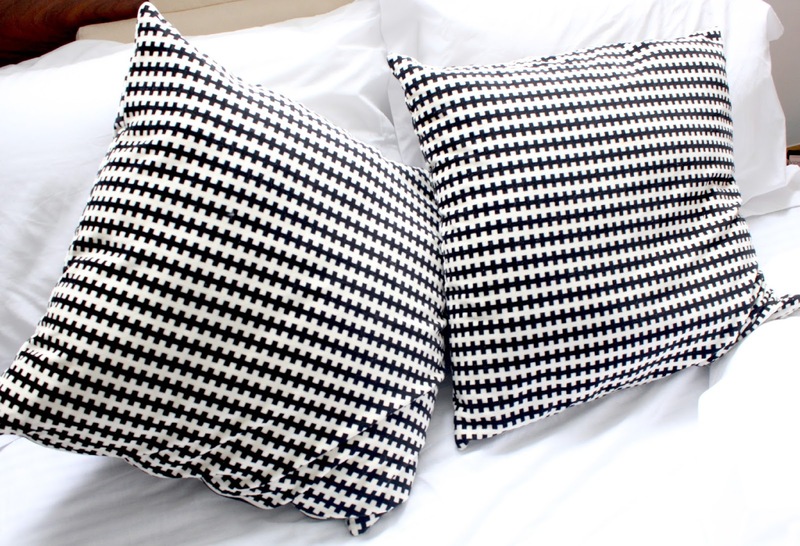 The black and white cushions are just so lovely! A great haul! I love that chalk board, perfect blogger item! You've bought so many cute things, but the chalkboard is definitely my favourite! They are all lovely! 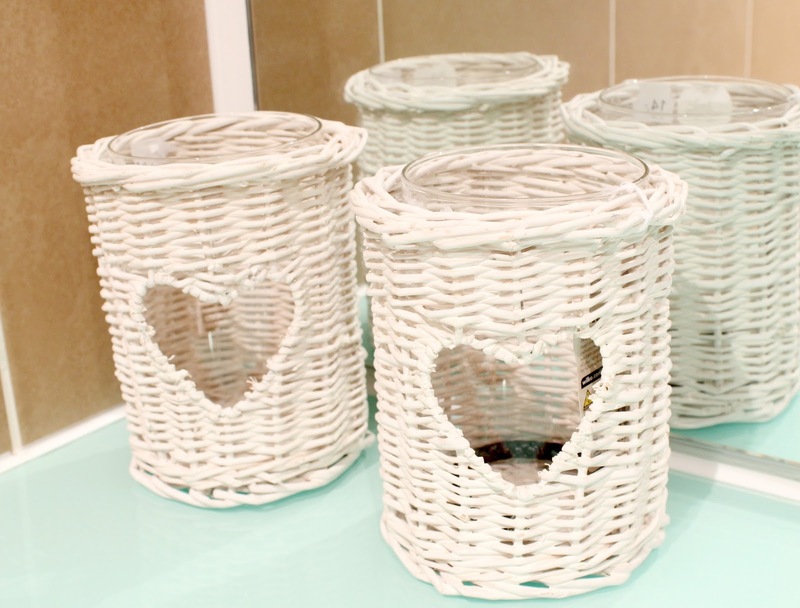 My favourites are the little wicker tea light holders, they are just so cute! I go to buy cushions every time I go to IKEA but always resist for some reason. I don't think you can ever go wrong with black and white, always looks super stylish! Love this post, makes me excited for getting a place in years to come (saddo) haha. Those items are so cute!! Matalan have some really cute bits at the moment! 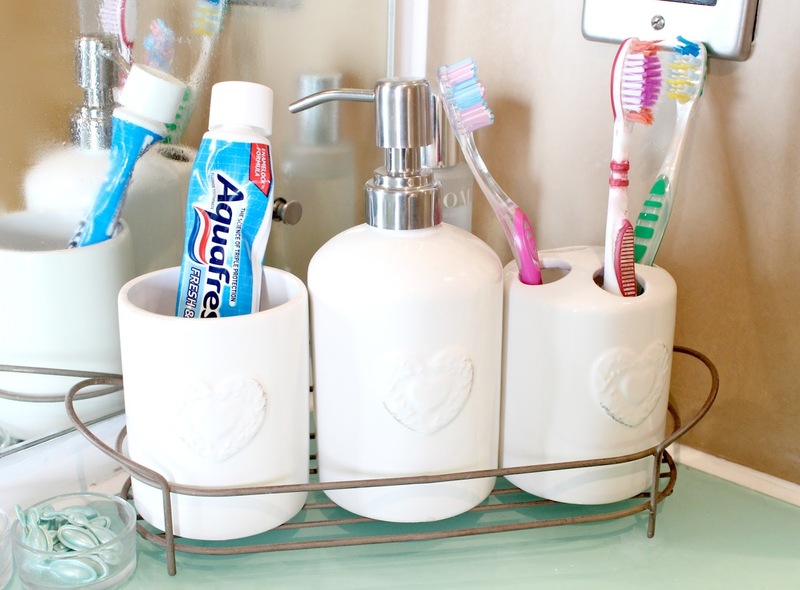 Id use those little tealight holders for make up brushes or cotton pads, or even toothbrushes! I love homewear hauls and everything you've bought is adorable! Love those pillows! So cute. And the chalkboard is adorable too! I was just at ikea. I seriously love it. I can get lost in there for hours. I've just moved to uni and am currently obsessed with homeware! 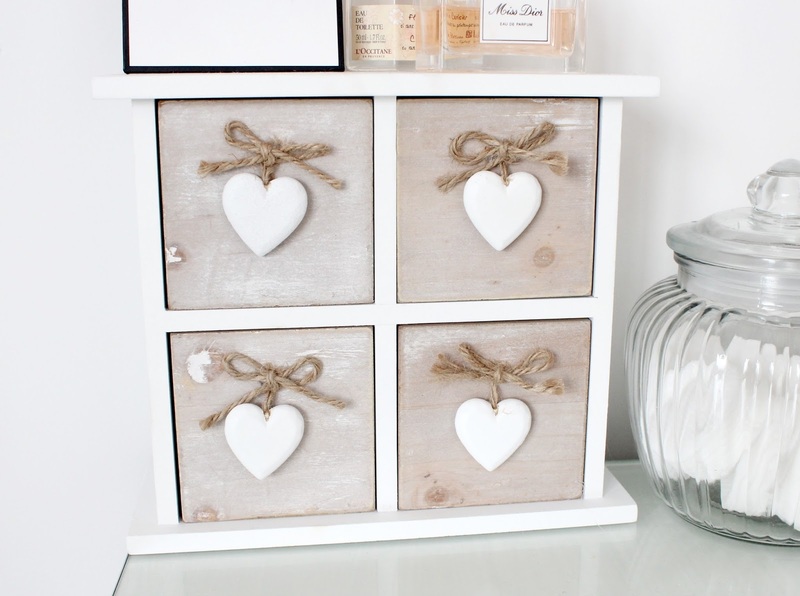 I love things with hearts so this post is right up my street :) those little drawers are adorable! I got loads of my stuff from Next home, their range at the minute is fab. That letter holder is the cutest thing ever! Have to have that! 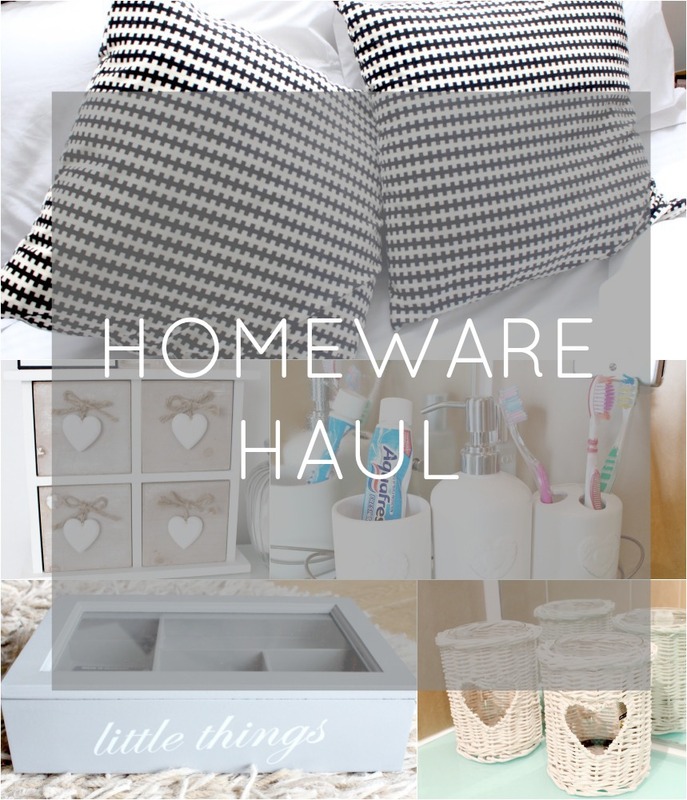 Your flat will be gorgeous, and everything must be so exciting :) Love all the bits you've picked up ! I like the bits and bobs you picked up at 'Gifts and Pieces' recently! The chalkboard and the letter rack would both be good items for helping reduce the clutter of paper, keeping things organised and reminding me of my to-do items for the week. I spy a nice container of olive oil which reminds me that I'm low on it and need to get more. I love those Ikea Stockholme Cushions and anything with hearts. You have got some lovely bit here!! I love those pillows. When I lived in the Uk I never found cute stuff like that :( I guess I was looking int he wrong places hahaha. Your photography is impeccable & I'm loving all of your purchase! Love the shabby chic feel to everything. I own a website - www.emilinehouse.com and have some really nice items for the home, take a look at all the departments!.